The world will not achieve the global target to achieve health for all unless it transforms care for every newborn, according a new report by a global coalition of partners led by UNICEF and the World Health Organisation. Released this morning at the 2018 PMNCH Partners’ Forum, the report Survive and Thrive: Transforming care for every small and sick newborn, asserts that nearly 30 million babies are born too soon, too small or become sick every year and need specialized care to survive. The report notes that among the newborn babies most at risk of death and disability are those with complications from prematurity, brain injury during childbirth, severe bacterial infection or jaundice, and those with congenital conditions. Additionally, the financial and psychological toll on their families can have detrimental effects on their cognitive, linguistic and emotional development. 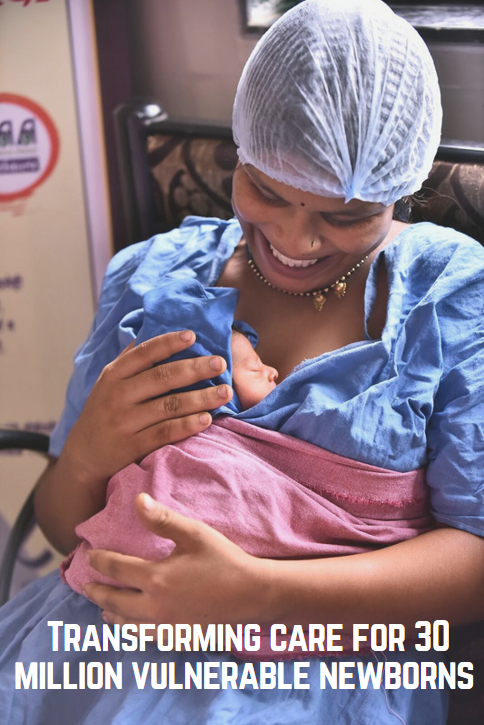 Dr Soumya Swaminathan, the Deputy Director General for Programmes at WHO is similarly quoted saying a healthy start from pregnancy through childbirth and the first months after birth is essential for every mother and baby. Without specialized treatment, many at-risk newborns won’t survive their first month of life, according to the report. And even if they survive, these babies face chronic diseases or developmental delays. Providing round-the-clock inpatient care for newborns seven days a week. Training nurses to provide hands-on care working in partnership with families. Harnessing the power of parents and families by teaching them how to become expert caregivers and care for their babies, which can reduce stress, help babies gain weight and allow their brains to develop properly. Providing good quality of care should be a part of country policies, and a lifelong investment for those who are born small or sick. Counting and tracking every small and sick newborn allows managers to monitor progress and improve results. Allocating the necessary resources, as an additional investment of US$ 0.20 cents per person can save 2 of every 3 newborns in low- and middle-income countries by 2030. Copyright ©2019 Makerere University Centre of Excellence for Maternal Newborn and Child Health . All Rights Reserved.